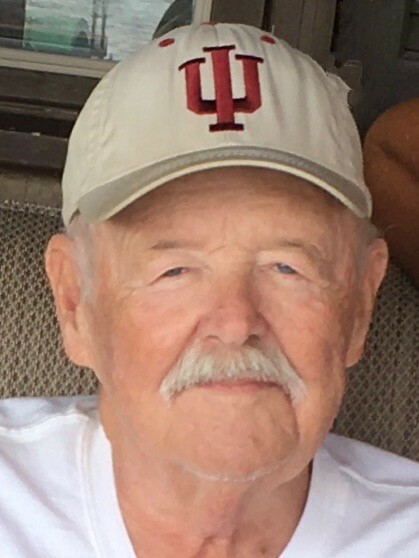 Craig E. Scott, 80, of La Porte, passed away on Monday, August 20, 2018 at his home. Craig was born in La Porte, IN, on December 29, 1937 to Hoyt and Joan (Hyman) Scott. On August 31, 1991 in La Porte, IN, he married Sandra "Sandy" Adams who survives in La Porte. Also surviving are his daughters, Jill (Paul) Sacco of Allen, TX, Robyn Eaton of Westfield, IN, Jenny (Todd) Gearheart of La Porte; son, Andrew (Zoe) Scott of Allen, TX; grandchildren, Truman, Griffin, Gabrielle "Gabby", Drew, Emily, Emmet "Jack", Elizabeth, and Carter; and 1 sister, Janet Scott of Ohio. Craig was a native of La Porte. He graduated from La Porte High School and graduated from Indiana University with a Business Degree. As a boy Craig was a member of the Boy Scouts where he earned the rank of "Eagle Scout". As he got older he loved to read, use Ham Radio, computer programming, and listening to talk radio. He had several careers but the one that stood out was Allis-Chalmers. He had very fond memories and great stories to share about the time he worked there. Craig was the oldest active member at the La Porte Yacht Club. He served as "Commodore" for several years and still maintained oldest active member status. When asked, How are you? he would always say, "Mighty Fine". After retirement Craig enjoyed spending time with his family and friends on Pine Lake. Craig and Sandy spent the Winters in their home in Florida. A Graveside Service will be held at 11 AM (CT) on Saturday, September 8, 2018 at Pine Lake Cemetery. Memorial contributions may be directed to the Frieds Cat Shelter, 509 IN-212, Michigan City, IN 46360 or VNA Hospice, 501 Marquette St, Valparaiso, IN 46383.